If you are interested, please email me at naturallykamdyn@yahoo.com and I will have a product mailed to you at NO COST!! TarinaTarantino Eye Dream Hyperlight, a $22 Value! 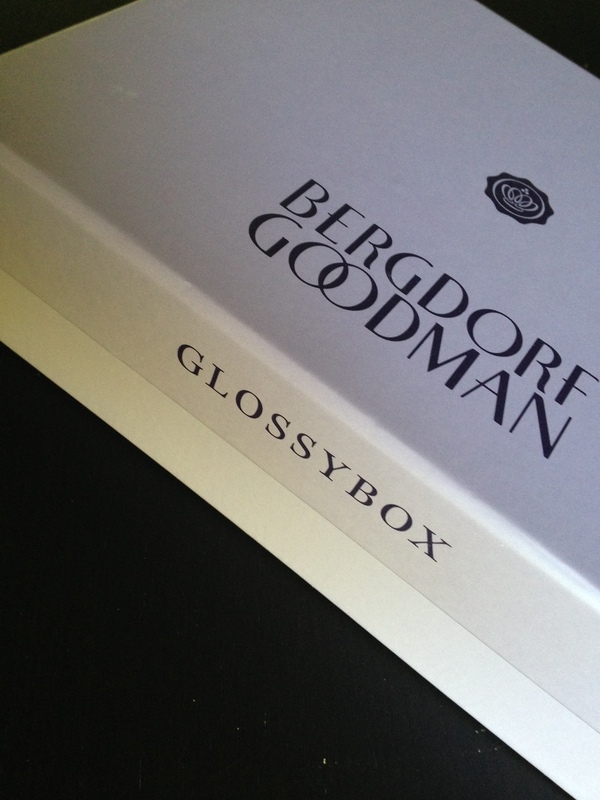 Okay so this seriously has me thinking about canceling my birchbox subscription and just having this box in place of it! 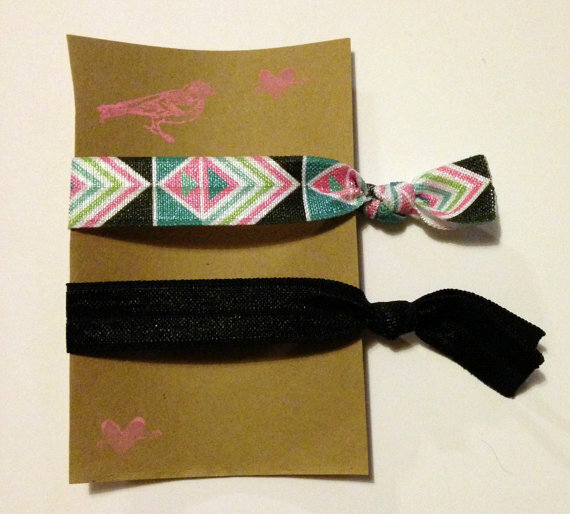 NaturallyKamdyn.Etsy.com is finally up and running! Will be adding more items daily. 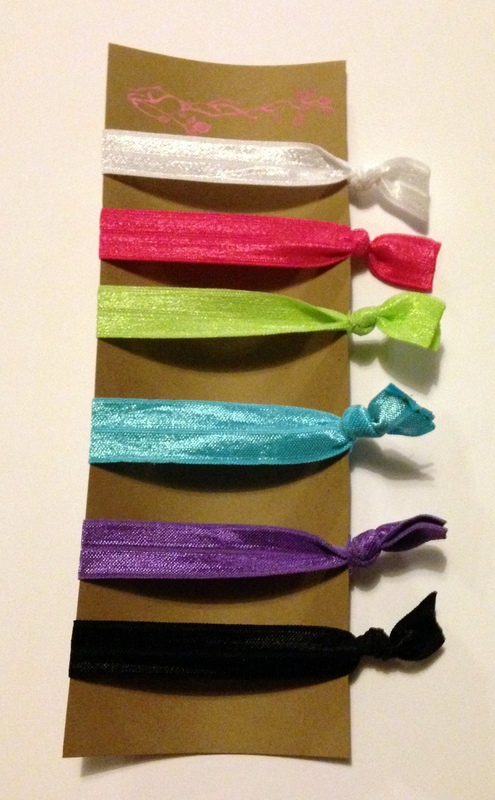 Also, comment or message me on etsy for a custom order! 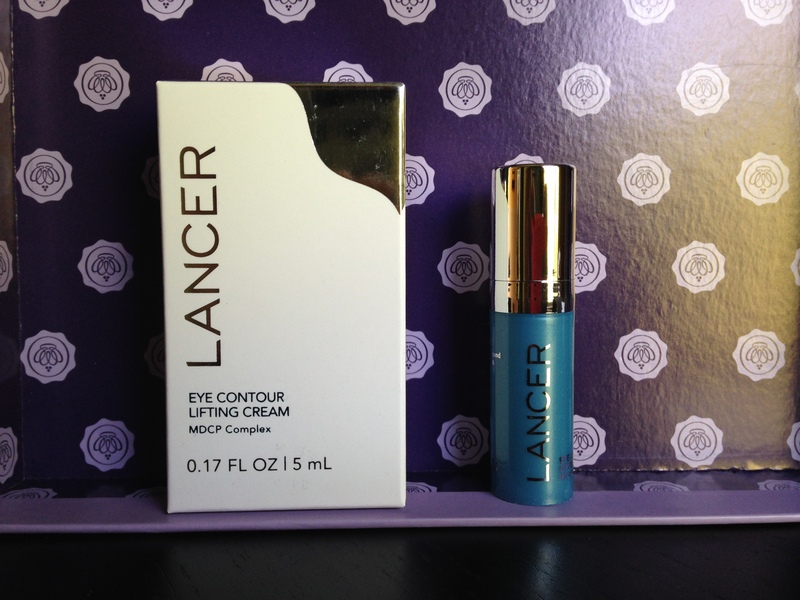 First up we have Lancer, Eye Contour Lifting Cream. This has a light creamy texture that blends well into my skin. When I put it on, it has a slight tingle to it. It has caffeine in it to help reduce the puffiness of your eyes and after a long day at work my skin is loving this! 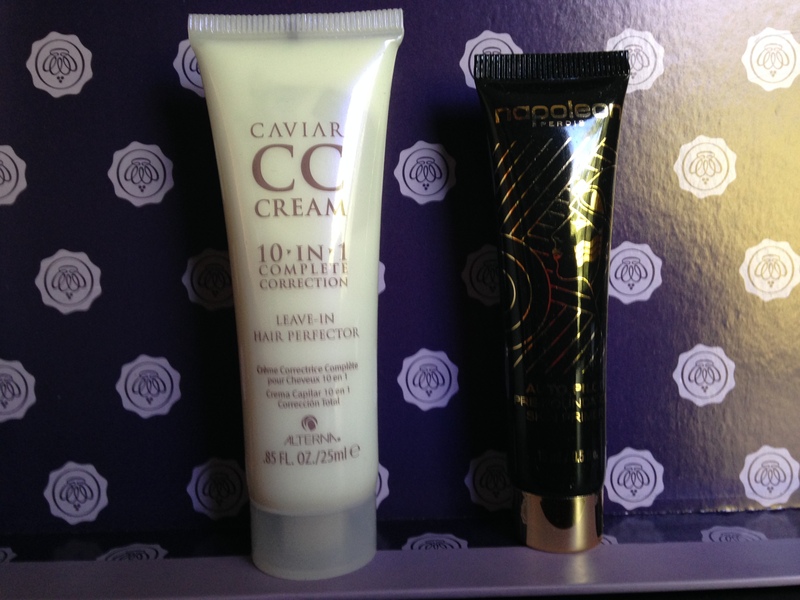 Next is Alterna, Cavier CC Cream. I was a bit skeptical of this at first because I am not one to use a bunch of products in my hair. I think the first thing you will notice about this product is it’s amazing scent! I towel dried my hair and put this to use. So far it seems as though my split ends are much less noticeable. (I haven’t had a haircut in over a year–I know terrible but being a mom, student, and working full time takes up the majority of my time). 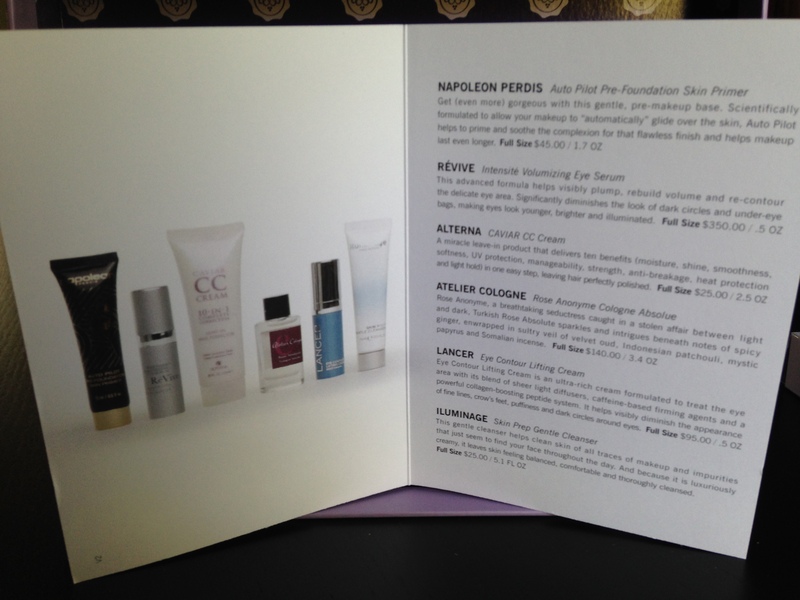 Napoleon Perdis, Auto-Pilot Pre-Foundation Skin Primer, this has a very light and clean, airy scent. It glides right onto my skin and it feels very moisturizing. I typically don’t use this type of product but it makes my skin feel SO SO soft! 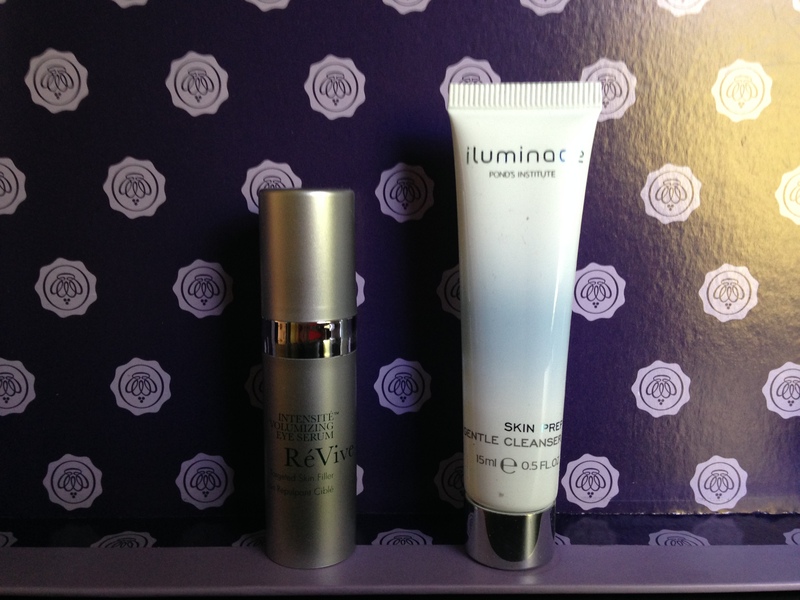 I have heard great reviews about Revive Intesite Volumizing Eye Serum and was happy it was in my box to sample. It took quite a few pumps to actually get any product out but when i did a beautiful iridescent light cream came out. It’s supposed to volumize and rebuild delicate eye area. I put this on, but I think it is going to be something to use on a daily basis if you’d like to get results. Iluminage Skin Prep Gentle Cleanser–I have so many face washes I don’t know what to do with! I am pretty set in my ways in what kind of face wash I use and when I tried this one out, I may be making a switch. With it’s gentle cleansing and amazing price at only $25 for the full size, that just may be worth it…..hmmmm….putting that gift card to good use? Lastly is the Atelier Cologne, I am just not a fan of this. I keep smelling it over and over hoping that maybe I will change my mind. 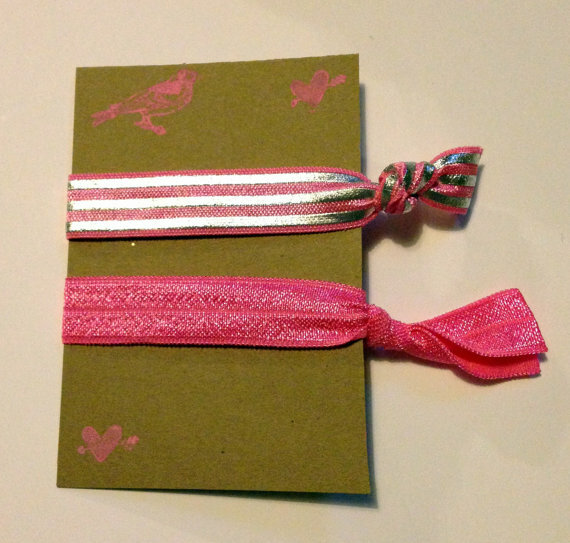 It’s such a strong smell and not girly at all–I love girly floral, citrus, light perfumes. This just isn’t for me! boxycharm you are outdoing yourself! I cannot believe that a June sneak peek is already here for #BoxyCharm. 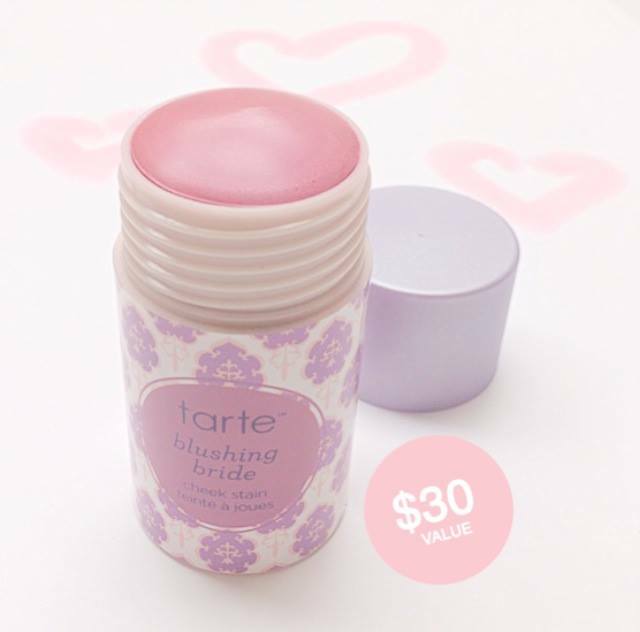 To top it off the sneak peek is of a #Tarte “blushing bride” cheek stain! A$30 value for a $21/month subscription! 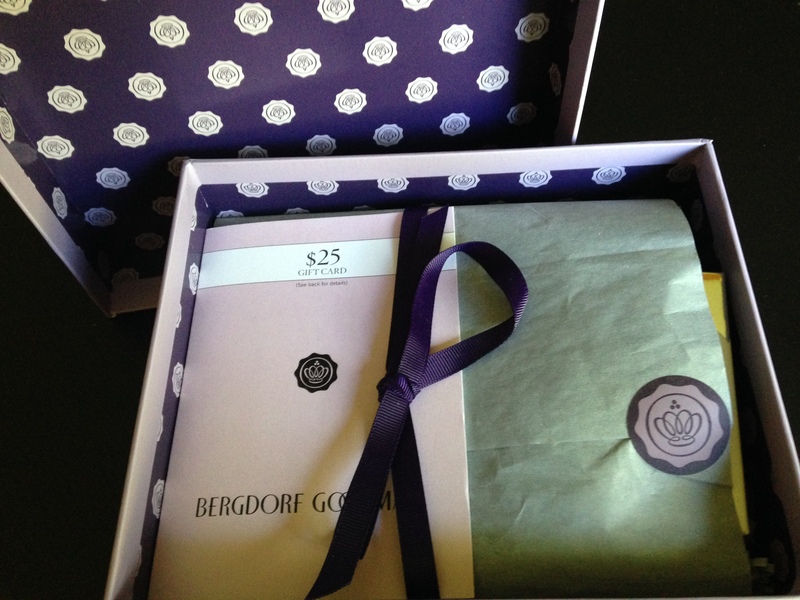 Let me just say that this is starting to become one of my favorite beauty subscription boxes. Ipsy & PopSugar Polishes put to good use! The left picture is the Nicole O.P.I. “Roughless” nail polish I received in my March Ipsy Glam bag. It is the color on my ring finger. It went on great and only needed one coat of polish. Once it dries it feels like sand =] which I absolutely LOVE! 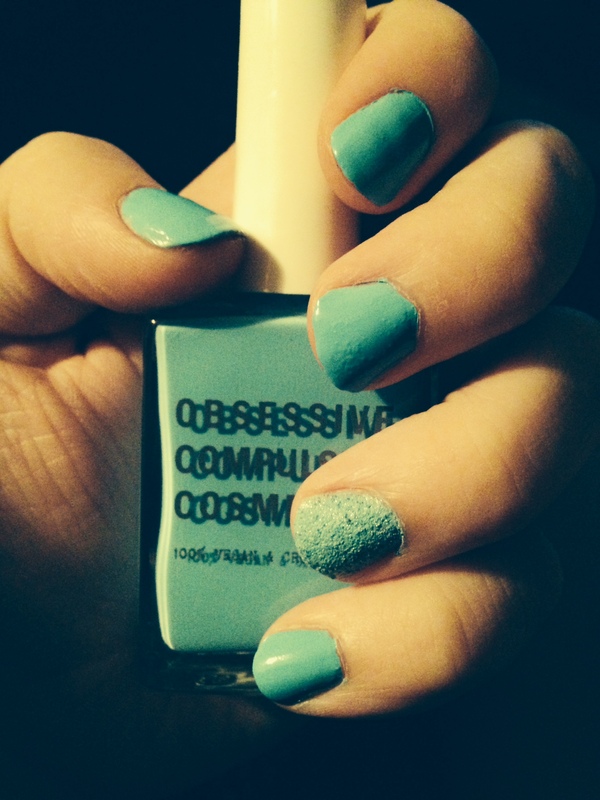 The picture on the right is the Obsessive Compulsive Cosmetics polish I received in my May PopSugar Must Have box in the shade “Pool Boy”. It goes on nice and smooth and only took two coats. I ABSOLUTELY LOVE these two colors together and I love how well they match! 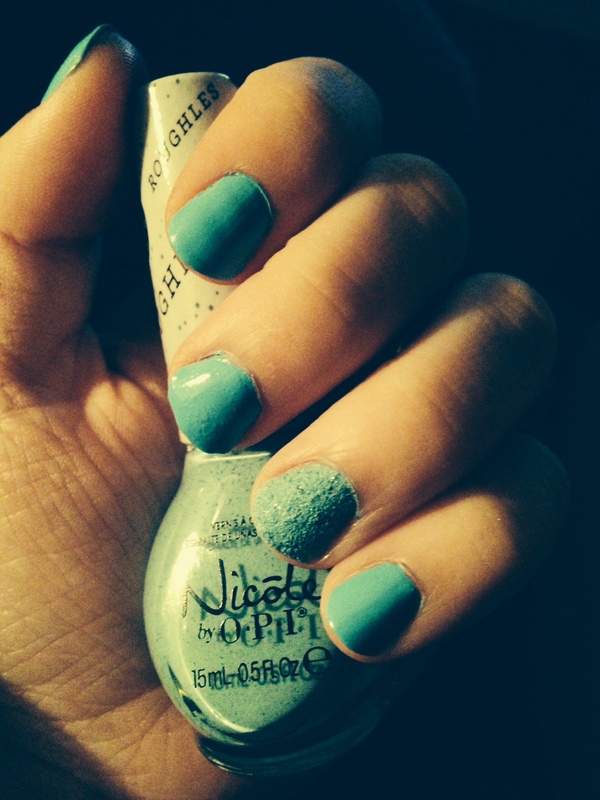 This is the perfect color combo for summer and spring!